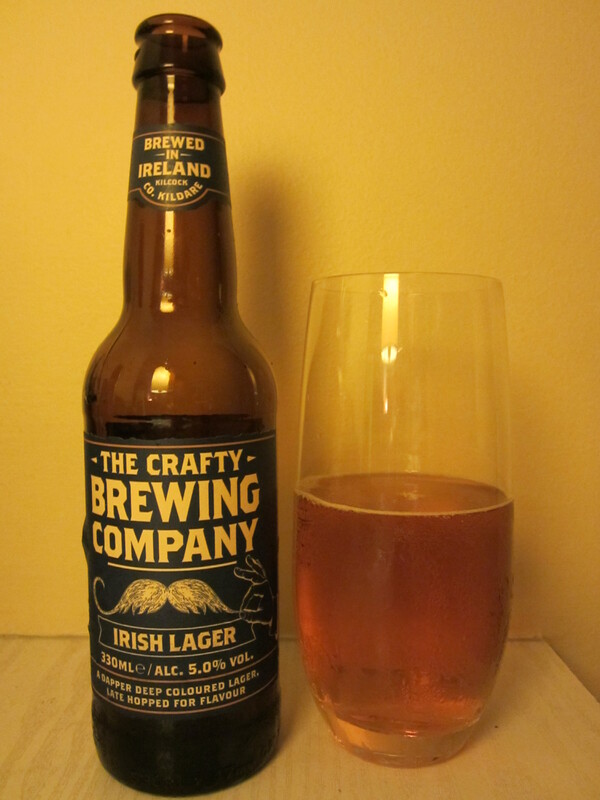 The Crafty Brewing Co. Irish Lager. Lidl €4.99. 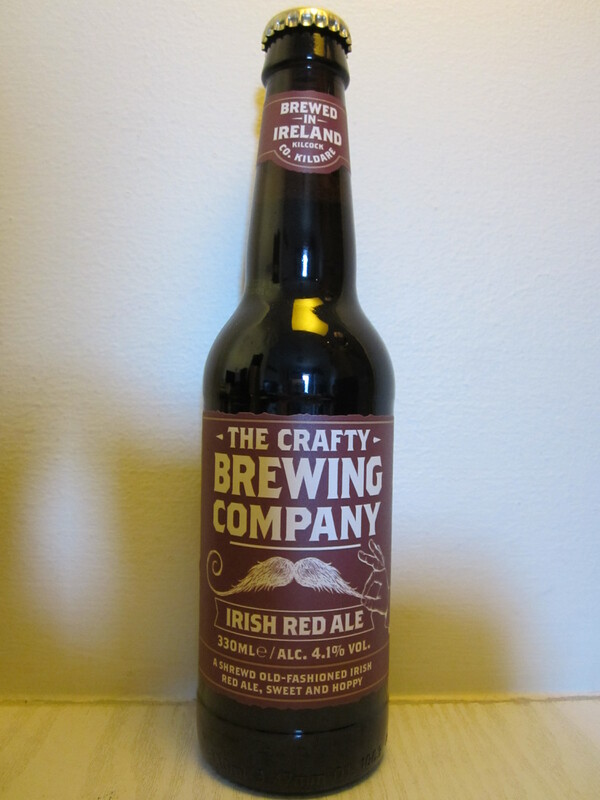 Last week I had a first look at Lidl’s foray in to the craft beer market here in Ireland. Tonight I tried their Irish lager. Again made by the Rye River Brewing Company, this is a terrific beer for the price. Four bottles for under €5 is very good value by any standard. A lovely crisp, refreshing lager with pleasant hop character. Although I preferred the Red Ale, this is a lovely beer that would suit a nice warm Summer day BBQ. It’s a little high in alcohol (5%) compared to some other lagers, so probably not the best choice as a thirst quencher. Still, great to see this quality of craft beer being stocked in the chain supermarkets. The price competition can only benefit the consumer. Next week I’ll try the stout-the last in this range. The Crafty Brewing Co. Red Ale. Lidl €4.99. Locally-made, quality craft beers have seen something of a renaissance in recent years in Ireland. It seems like the young drinkers of this country have decided it’s time they got some value in that over-priced pint. Instead of the neutral, flavourless mainstream beers, young drinkers desire something a bit more exciting. Trendy new bars, specialising in craft beers are popping up around the country, and although they still only account for a very small percentage of the overall market, Irish craft beers are growing at about 30-40% per year. The biggest problem with many of the beers is the fact they are produced in small breweries. And small economy of scale means prices tend to be at the higher end. So, it was inevitable that the big retailers would jump on board and take advantage of the demand for craft beers, whilst using their buying power to offer them at competitive prices. Lidl’s first foray in to this market is a partnership with Rye River Brewing Company, based in Co. Kildare. Better known for their Granny McGargle’s range (which I was already a fan of), they released three popular beer styles- a stout, a red ale and a lager- under The Crafty Brewing Company name. I tasted the range on tap at a press release and was impressed, so picked up the Red Ale to see how the bottles compared. Quite full-flavoured with a little sweetness, this has a smooth hoppy flavour. I couldn’t think of a better beer to introduce to people who are trying to experiment with craft beers, as it is not overly hoppy or too complex. Easy drinking and at a very reasonable level of alcohol (4.1%) this would be ideal to bring to a party or swig with a nice curry. If you are a Smithwick’s drinker, you will love this ale. And at €4.99 per 4-pack it is terrific value.